Today, I wanted to discuss a disturbing phenomenon among some of the Muslims here in Japan. Unfortunately, the problem is not specific with the Muslims in Japan. Rather, it is a universal issue. Like in our own countries, Some of the Muslims are divided on the basis of their sect, their culture and what not. This has stop in any case as, in the eyes of non-Muslims, all of us are Muslims. They do not differentiate between Shia or Sunni or wahabi or brelvi or deobandi. We need to work on improving ourselves in every sense of the word without falling prey to the conspiracies and rumors being spread against us. We are one Ummah and one nation. We have to show that by setting examples in very own lives. Alhamdulillah, we are glad to introduce to you the largest halal directory in Japan where you can find all types of halal restaurants, halal friendly hotels, guest houses, travel agencies catering to Muslim customers, halal products and other related information – all in one place. 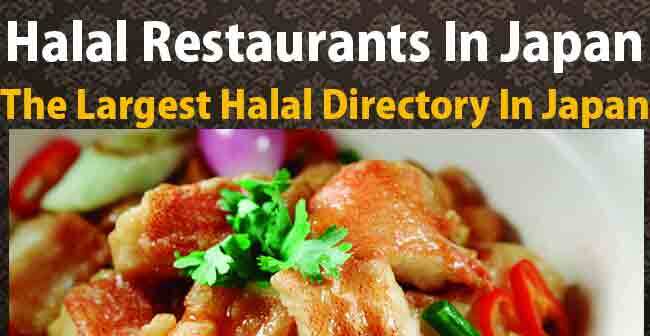 Some other website claim to offer you lot of information about Halal products including Halal friendly restaurants. However, None actually provides you a comprehensive look of all things Halal in Japan. The directory includes all types of restaurants including Japanese, Chinese, Pakistani, Indian, Bangladeshi, Turkish, Arabic, North African, and others.